2014 marks the 10th Anniversary of 805 Living and the magazine is celebrating with a variety of unique activities throughout the year. 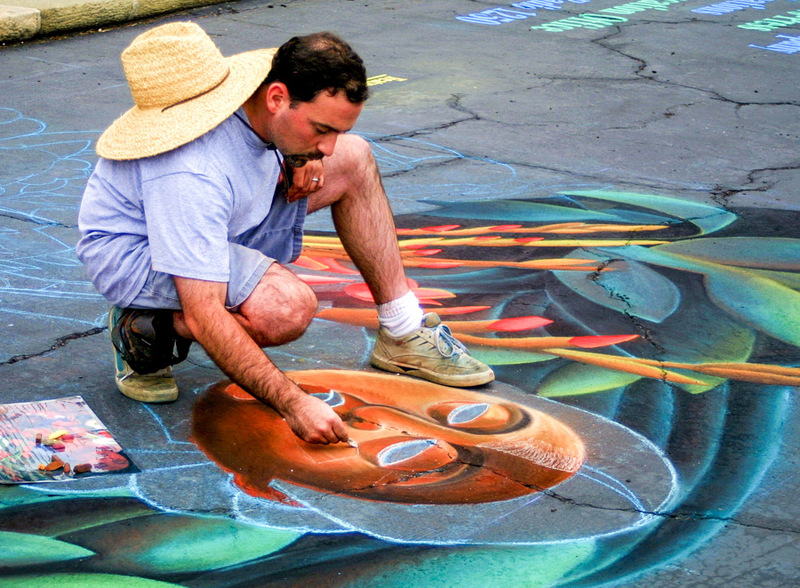 On Saturday, August 9, internationally renown madonnari (chalk artist) Jay Schwartz will recreate the cover of 805 Living’s September 2013 Food & Wine issue in front of The Lark restaurant in Santa Barbara. The cover features a striking photograph of a dish created by The Lark’s executive chef, Jason Paluska. The image was taken almost a year ago to the day by 805 Living contributing photographer Gary Moss. Come see Schwartz at work starting early on Saturday morning and continuing throughout the day and into the early evening. 805 Living readers will see the final art and learn more about Schwartz in the upcoming October Anniversary Issue. 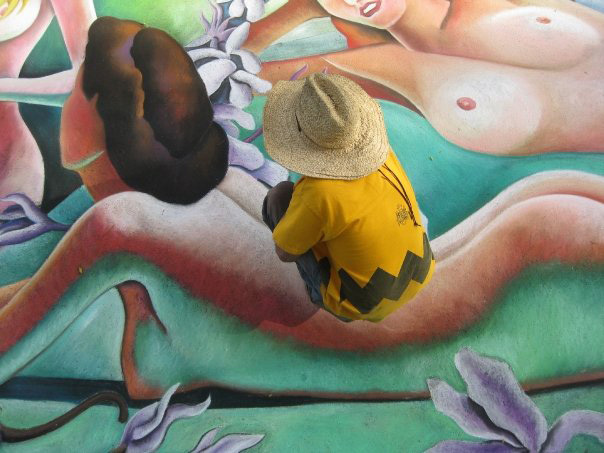 Jay Schwartz, who has participated at the I Madonnari festival in Santa Barbara, CA for over 20 years, is one of the country’s most respected madonnari (chalk artists). He has been featured at festivals throughout the United States, and has traveled to Italy, Japan, and Mexico to produce street paintings. Schwartz fell into the art of street painting in 1992, lured by the unusual medium which is a mix of fine art and performance art. “The paintings we create are not only done “live”, but they’re also ephemeral, vulnerable to the elements,” says Schwartz, of his passion. “Only viewing them in context can provide a lasting impression. The art is extreme – we’re in the heat, the threat of weather, and it’s an impermanent craft. But for me, it’s more than a hobby now, it’s an addiction. As soon as I recover from one painting, I’m looking forward to the next. 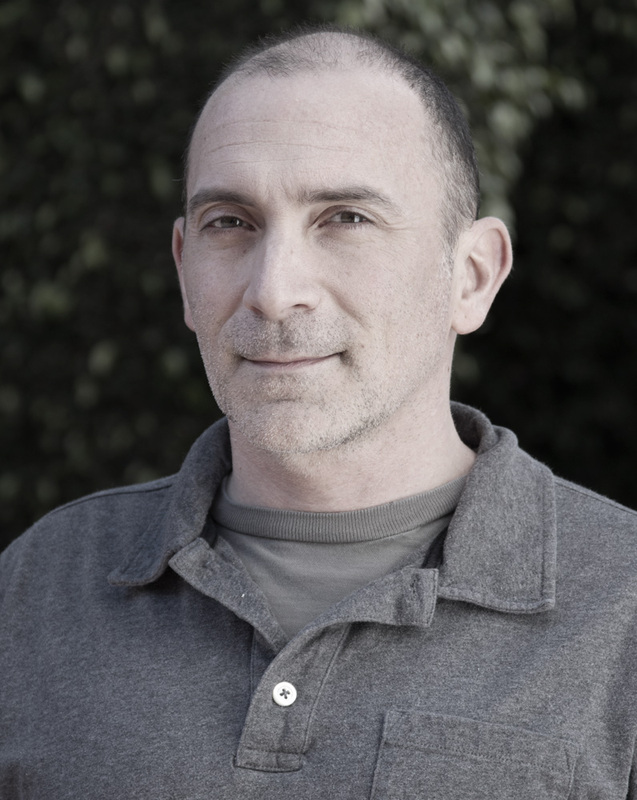 In addition to being a world-renowned street painter, Jay is also an acclaimed artist professionally, as owner and founder of award-winning interactive agency, IdeaWork Studios, Inc., a full-service branding and interactive agency with offices in Santa Barbara, New York, and Las Vegas. IdeaWork prides itself on being the antidote to the big agency experience, proving that big things can come from small offices; the team focuses on excellence and efficiency, delivering big agency-quality work, but without the big agency bureaucracy. IdeaWork specializes in hospitality, nightlife, gaming, and luxury industries. For more information visit them online, or like them on Facebook. 805 Living is a high-end regional lifestyle magazine that combines the best of both worlds: the quality and style of a national publication with smart, relevant, beautifully-packaged editorial content that highlights the vibrant communities of western Los Angeles (including Malibu), Ventura, Santa Barbara, and San Luis Obispo Counties. Each month, nearly a quarter of a million readers depend on 805 Living for its exciting mix of home design, style, entertaining, health, recreation, shopping, dining and food, wine and spirits, family, events, travel, and, of course, the extraordinary people who call this unique and desirable region of California home. 805 Living is published ten times a year by 3Digit Media, LLC. 805 Living’s AAM-audited circulation is 30,000 per issue.